AZAM CAMPUS (PUNE): The internal committee report submitted by Abeda Inamdar Senior College, Pune Camp to the State Higher Department and Savitribai Phule Pune University (SPPU) has given a clean chit to the Maharashtra Cosmopolitan and Education Society (MCES) management and also the teachers. The report has been given in the context of Murud Tragedy which claimed the lives of 13 college students some two and a half months ago. Joint director of higher education Dr Vijay Narkhede in a written communication to the university administration had sought an indepth inquiry detailing precautions taken by the college. Narkhede had sought details like whether the MCES management had complied with the safety guidelines for students both on and off Campus of Higher Education Institutions issued by the University Grants Commission in 2015. The college in its report has stated that they had followed all regulations regarding students’ safety. Meanwhile Narkhede has forwarded the report to the higher authorities for their review. Vice Chancellor Wasudeo Gade said, “We have put the report before our committee and would soon declare its report.” Mr. PA Inamdar, president, MCE society, which runs the college and Azam Campus could not be reached for his reaction. 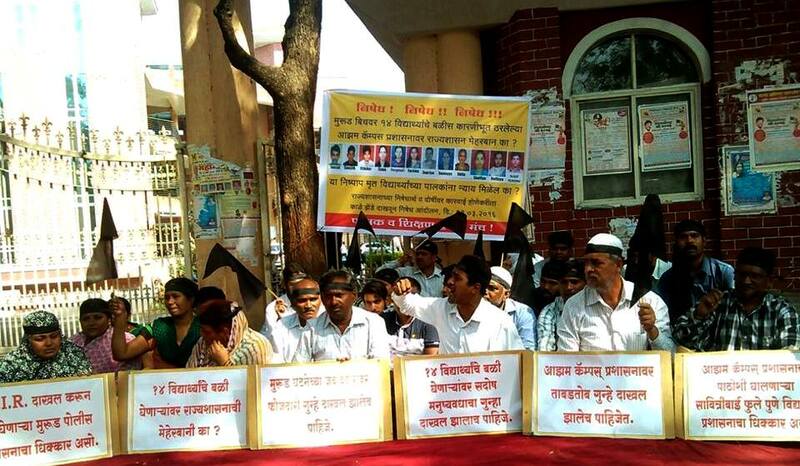 A number of protests against the college management by the parents led by Shikshan Hakka Manch President Mateen Mujavar have taken place during the past two months after the Murud Tragedy. The management including its President PA Inamdar have been facing flak from irate parents who have alleged arrogant, negligent and care a damn attitude on the parts of the management in handling the issue. The parents have also threatened to launch a state wide agitation against the management if their demand to register an FIR against the college administration, teachers and management is not met.